If you are a product photographer, product catalog company, ad agency or online retailer, opt for Outsource2india's (O2I) e-commerce product photo clipping and retouching services. If you are looking to create stunning product images that impact potential customers, and induce sales, we can assist. At O2I, we create clipping paths, carry out masking, background removal, transparent background, lighting, and contrast adjustments, refine image edges, correct blur and much more. At O2I, our skilled image editors create a hand drawn clipping path (vector path) around your product photos using Adobe Photoshop. We can also provide multiple clipping paths for color correction and photo retouching. At O2I, we effectively remove the background from images, resize, and change any background into a white or transparent ensuring marketplace image compliance for online marketplaces. At O2I, we create hollow or ghost mannequin effects, widely used in e-commerce apparel product photos. At O2I, we aid editing teams in creating 2D or 3D models with 360° panoramic views of each product, for online stores or marketplaces. This is used especially in the sports goods, electronics, apparel and fashion industry where potential customers prefer a 360-degree view of the product. We correct excess/less color, hues and contrast. We tune color temperature, white balance, brightness, shadows, highlights, and saturation to correct lackluster photos. We use different Photoshop tools to clean product photos and give them a brand new look. We use the clone stamp tool, brush tool, pen tool and others for removing dust, scratches, spots, and blemishes. At O2I, our skilled image editors ensure each image is correctly aligned. We rotate images in steps of 90-degrees, or fine-tune the rotation angle. Our image editors edit every product photo in accordance with online marketplace image guidelines for online marketplaces. We use various image editing techniques, to generate a layer mask or a series of alpha channel masks based on your requirements. We clip/crop a product photo from its original image and placed on a sustainable background. Also, unnecessary borders or objects are removed. 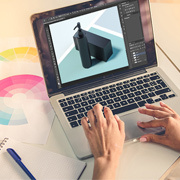 At O2I, skilled image editors prevent unauthorized usage of product photos with significant watermark placement or logos on every product image. Shadows and reflections enhance a photo, making the subject pop on the page. At O2I, our skilled image editing team works on oval shadows, drop shadows, reflections, and cast shadows. At O2I, our professional photo retouchers eliminate extra noise. noise from unclear, grainy and blurred images and transform them into clear product photos that sell products. We use professional editing tools and cut out unwanted elements including skin blemishes, remove spots, lens glare, and scratches from faces, smooth fabric wrinkles, enhance natural skin textures, and add shadows to make models appear more natural. Natural layer masking, translucency/transparency masking and alpha channel masking techniques lend your product images a lifelike feel. We also create shadows around your product images so that they look three-dimensional. We add or remove margins from e-commerce photos and set margins to give your product photos a unique look. Image editing requirements discussed with O2I's Business Development Managers and Statement of Work (SOW) finalized (including timeframes, cost, resources, etc.). Client transfers images that require editing via File Transfer Protocol (FTP) or Dropbox. 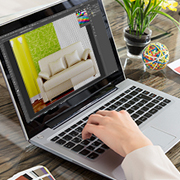 Image editors edit images with Adobe Photoshop and Adobe LightRoom. Files reviewed by the client, edits (if any) are carried out subject to client approval. Client approval obtained and final images uploaded via secure File Transfer Protocol or Dropbox. Quality Processes - At O2I, we ensure 99 percent SLA adherence while editing e-commerce images. 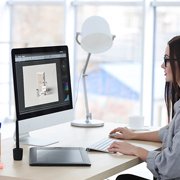 Work Ease - Efficiently edit e-commerce product photos for any volume of images of any size. Batch Editing - Able to efficiently execute batch editing for similar e-commerce images. Quality Processes - At O2I, we follow International Standard Organization (ISO) quality processes to ensure high-quality output. Better Product Catalogs - Create attractive online product catalogs with high-quality images that sell products. Web-Ready Photos - Save time and effort- immediately publish e-commerce product photos online, with no rework. Increased Clientele - Better product photos stimulate customer interest and hike sales indirectly, thereby increasing your client base. 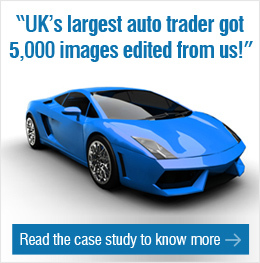 Aid Marketing Campaigns - Our image editors serve as an extended arm to marketing campaigns globally. Excellent product images enable an increased focus on the product and induce buying. Bulk Processing - Effectively edit e-commerce images in client designated batches and save time and costs on bulk processing. Any Volume Editing - At O2I, you can efficiently edit any volume of e-commerce images of any size. Output Flexibility - Full etching on a white or transparent background and output in the exact format you require: TIF, PNG, JPG. I am overwhelmed with the support & level of understanding of your team. The effort you spent in working out my DTP project diligently with a very quick turnaround time has helped my company reap immense profits. Looking forward to very successful business relationship in the coming years. At O2I, we offer affordable e-commerce product photo clipping and retouching services. Call or email O2I today, tell us your requirement and receive a free quote within one business day.